With radiant views of Hyde Park, the sleekly designed Metropolitan brings the renowned COMO Shambhala wellness philosophy to the hotel’s London location. The holistic wellness centre nurtures mind, body and spirit with an Asian-influenced spa menu and recently expanded facilities, including four single treatment rooms, and two dual treatment rooms with private steam areas and renovated gym and yoga studios. 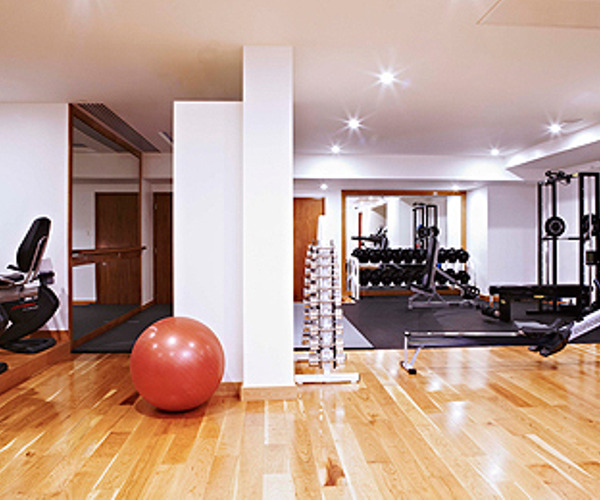 Yoga instruction can be requested, and guest rooms come with personal mats for private reflection and exercise. The COMO Metropolitan London features a discreet, contemporary aesthetic, with highlights that include Michelin-starred cuisine at Nobuyuki Matsuhisa’s hotspot Nobu and an enviable location within minutes of Mayfair, Buckingham Palace, Piccadilly and Knightsbridge. With the award-winning Shambhala wellness concept as its foundation, COMO Shambhala Urban Escape at the Metropolitan London features holistic therapies that utilize both the brand’s exclusive line and Dr. Perricone products. Stemming from the Sanskrit word, Shambhala, or “sacred place of bliss,” the spa creates a sanctuary of calm with restorative, Asian-inspired body and facial treatments. Services specifically tailored to men, mums-to-be, brides and couples are available. Spa space totals 195 square meters, hosting a gym, yoga studio and six treatment rooms, two of them couple’s suites with steam rooms. 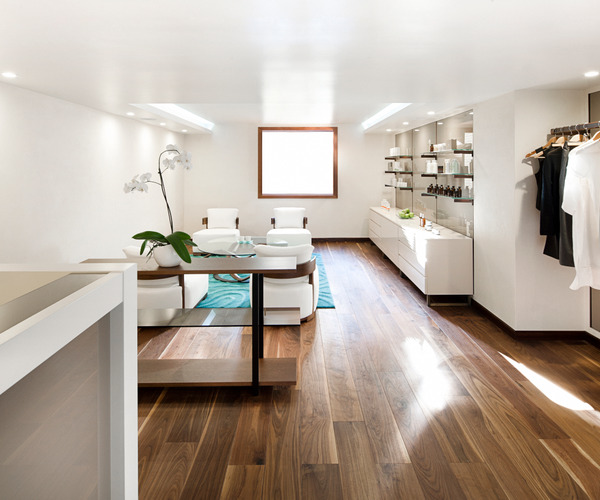 A boutique stocked with COMO Shambhala yoga attire, essential oils and skincare and body products invites guests to bring a piece of the spa brand home with them. The Metropolitan London resides on Park Lane, stretching nearly a mile from Hyde Park Corner to Marble Arch. The hotel is just a few minutes’ walk from Piccadilly and Knightsbridge, lined with several famous shops, including Harrods, Harvey Nichols, Manolo Blahnik and Prada. Buckingham Palace is a short stroll away as well. To the east is Mayfair, comprising one of the city’s major commercial and financial districts, while to the west is Hyde Park; one of the Royal Parks of London, Hyde Park totals 350 acres and will play host to triathlon and select aquatic events at the 2012 Summer Olympics. London's underground public transportation system is easily accessible throughout the city. Business travelers will appreciate the Metropolitan’s six rooms for meetings and conferences, accommodating groups of eight up to 80. The hotel retains a Civil Ceremony License, allowing for weddings in three event spaces: the White Room, the Met Space and the Penthouse, the latter of which overlooks 180-degree views of Hyde Park. The Metropolitan London has 144 accommodations that overlook the vibrant hustle and bustle of boutiques, restaurants and clubs of Mayfair or the verdant greenery of London’s Royal Parks. Designed to create a spacious, comfortable setting, rooms vary in size from the 29-square-meter City Rooms to the 35-square-meter Park Studio Rooms to the 110-square-meter COMO Suite. Glass walls, Asian-inspired furnishings, suede upholstery and deep purple hues create modern, urban interiors, and Egyptian-cotton linen, goose-down duvet and yoga mat accoutrements offer a thoughtful touch. Culinary aficionados will take pleasure in Peruvian-Japanese cuisine at the famed Nobu; found on the hotel’s first floor, the restaurant features Michelin-starred cuisine, including black cod with miso and sashimi salad, along with views of Hyde Park. COMO Shambhala Cuisine, with its strict emphasis of raw, organic foods, can be found on the lobby or room service menus. Authentic British fare and spirits can be savored at the Met Bar, open Met Bar opening times: Tuesday to Saturday 9am - 2am, Sunday to Monday 9am – Midnight.